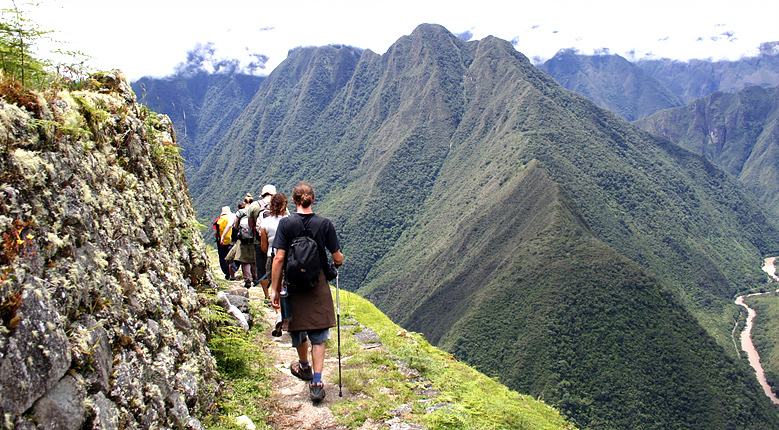 The Inca Trail was called "Qhapaq Ñan" by the Inca, and known as "El Camino Inca" in modern times. The trail starts in Ecuador and ends in Chile, over 5100 km (3,200 miles). 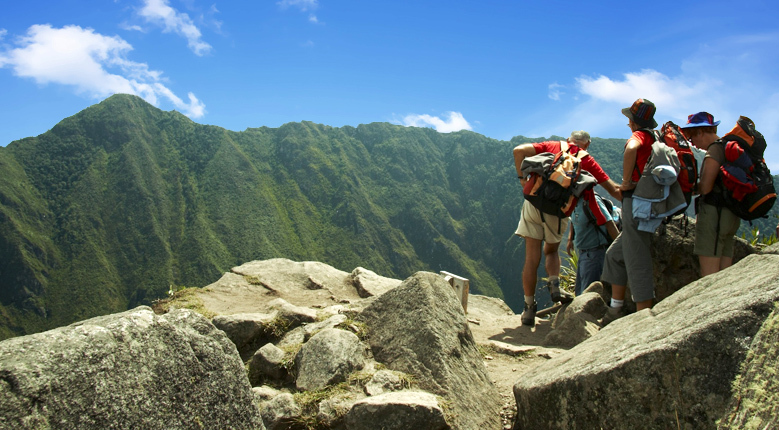 The total allowable hiking section in Peru is 43 km long (26 miles). See below for logistics details. The Peruvian government allows only 200 visitors and 300 porters per day, and reservations must be made 4 months in advance. 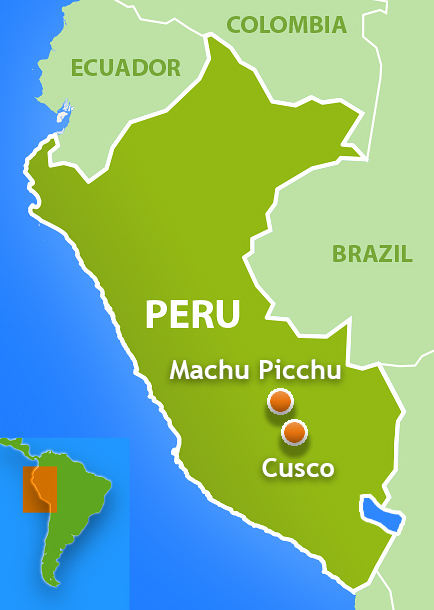 Cusco Arrival: Arrive to the capital city of the Inca Empire, Cusco. Solstice Tour staff shall greet you at the airport for your on-time transfer to your Cusco hotel. 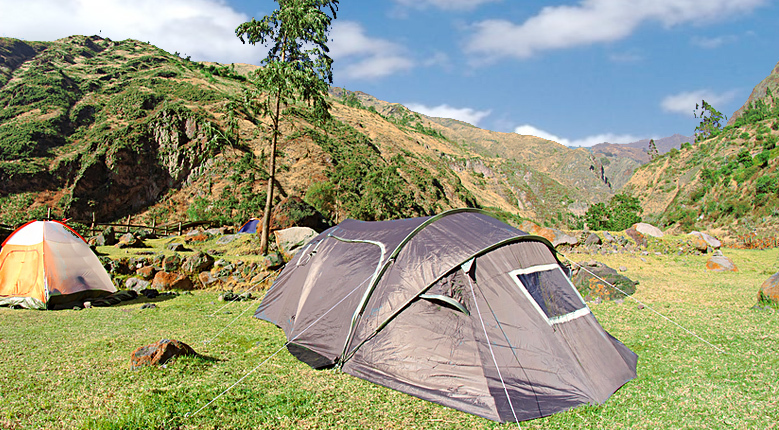 Inca Trail Begins from Cusco: Hotel pickup and start escorted trek with native Cusco guides and porters. We will begin walking the ancient Inca Trail that was once traveled by messengers, Inca warriors, llama caravans, and Inca nobles. The trail takes us through the arid terrain of the Urubamba River with a panoramic landscape of snow-capped mountains. 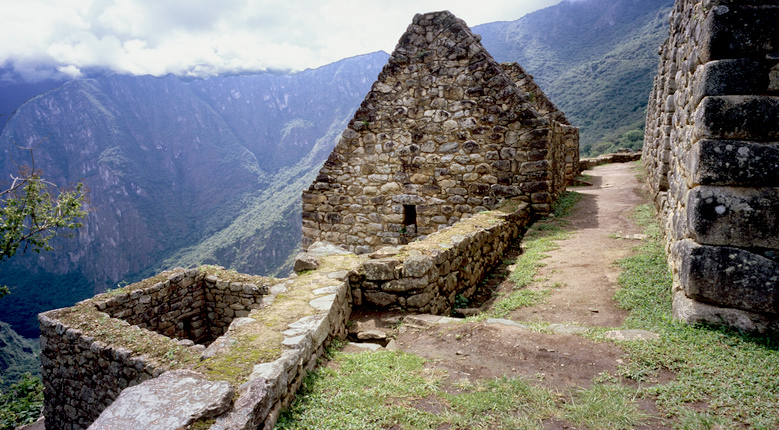 We will arrive at Llactapata, an ancient Inca citadel that once protected the entry into the valley. Meals: Breakfast at Hotel; Lunch & Dinner prepared on the trail. Huayllabamba: The trek begins in the Inca village of Huayabamba connecting to the Warmiwañuska pass (4,200 m / 13,800 ft.), known as "Dead Woman's Pass". The area will begin to show more vegetation and the climate change as we enter more into the forest overgrowth. The ancient path was traveled on a daily basis by a network of messengers known as Chasquis. Pakamayu: The terrain is exposing more of the jungle region that miraculously still looks the same as the time of the Inca. By mid-day we will arrive to Phuyupatamarca, known as "The City Above the Clouds". From this location one can see a long horizon of the snow-capped Andean mountain range. 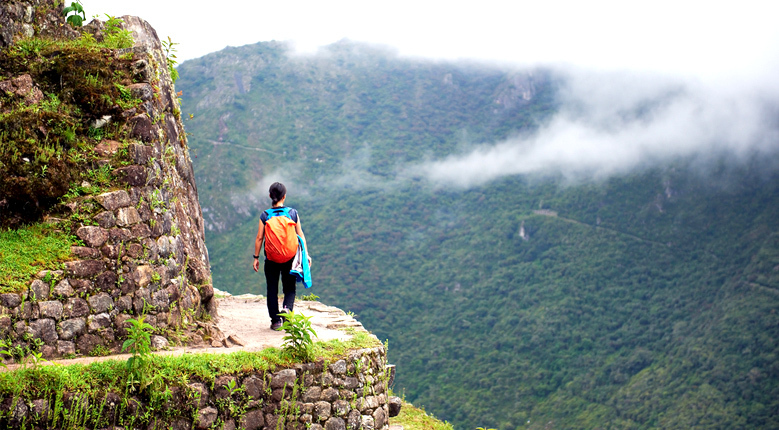 The day ends at Wiñay Wayna, which is the most intact archaeological complex on the Inca Trail. Wiñay Wayna: The path continues to Inti Punku, "Gate of the Sun", before arriving to the lost Inca city of Machu Picchu. After arriving to the ancient city our guides will be waiting for us to begin a tour to better understand the historical and cultural significance for Inca people. Machu Picchu Train to Cusco: A late afternoon train will take you back to Cusco where we will transfer you to your hotel. Middle day activity fishing the river of Aguas Calientes. Cusco is located at an altitude of 3660m/12,000 feet, right above the first layer of clouds you generally see when looking in the sky. Heavy rain season is during February & March when Solstice Tours does not offer tours. Government mandates close Machu Picchu & archeaological sites during heavy rains that hinder visitors' experience. May to January are the best months to visit to avoid the inconvenience of heavy rain.